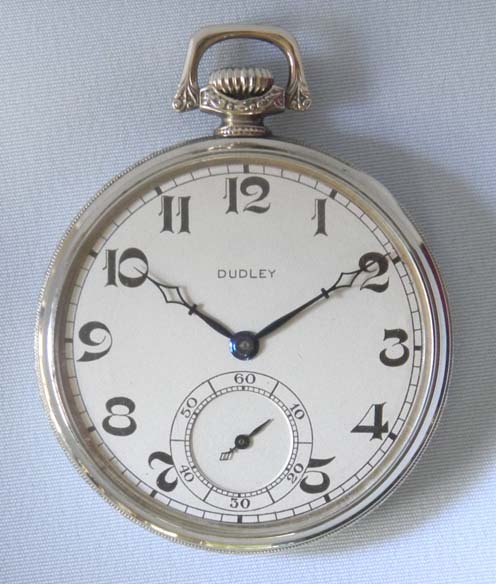 Fine Dudley Masonic antique pocket watch circa 1925. 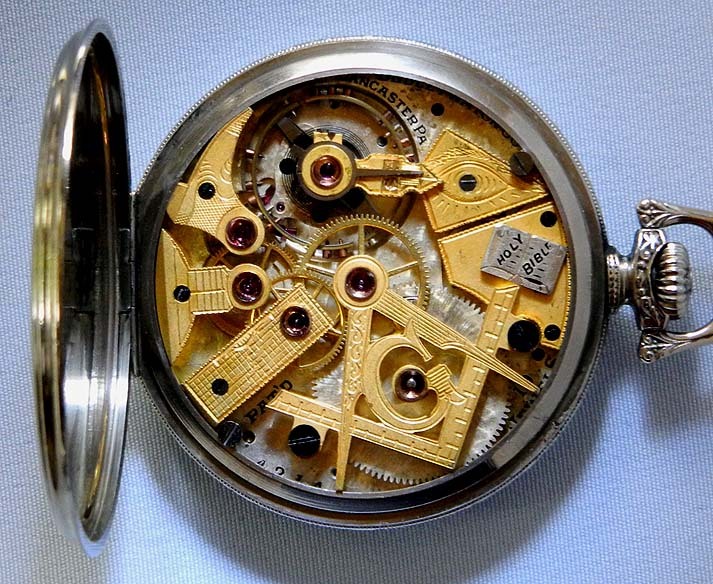 Two-tone 19 jewel movement with the bridges in the shape of Masonic symbols. Original silver dial with blued steel hands. 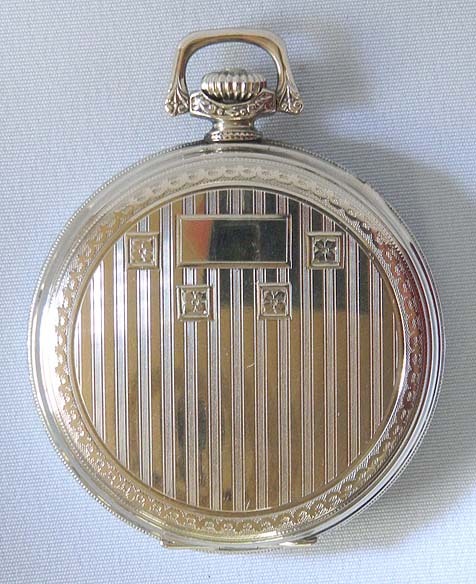 Atypical but apparently original white gold filled case with very tight back that requires a case knife (included) to open.